Saturday's storms racked up record rainfall totals across some areas. Peoria shattered a daily maximum rainfall record with 1.74" of rain, the old record was 0.64" set back in 1946. The rainy Saturday left Lincoln with a new rainfall record as well, coming in with 1.46" of rain, breaking the old record of 0.96" from 1998. 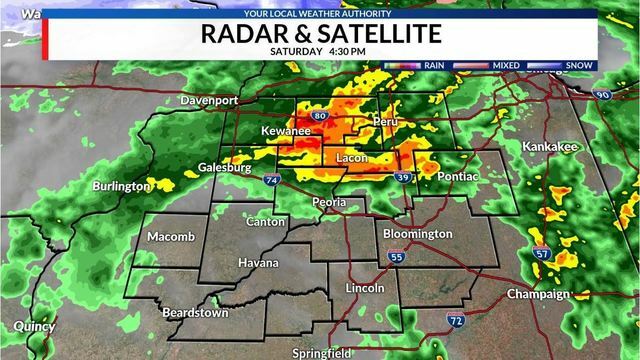 A strong low pressure brought a warm front to Central Illinois, fueling the atmosphere with plenty of moisture and lift to generate heavy rain showers. A cold front trailed through shortly after and ended the showers as dry air filtered into the region. 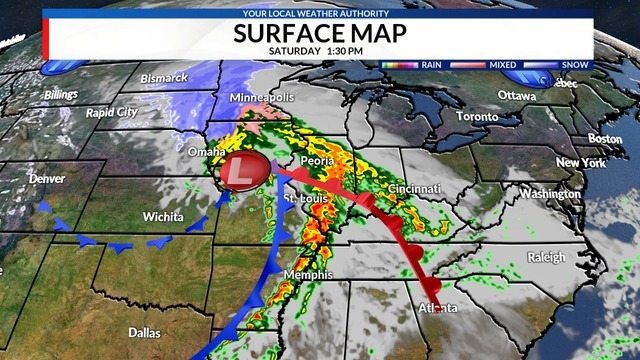 Thankfully, we dodged the bullet of severe weather that took place further south in Southern Illinois and parts of the lower Mississippi River Valley. We were lucky, as there was not enough energy in the atmosphere to support organized severe weather here. Here's what that storm setup looked like as the strong system pushed through. Doppler radar was very busy throughout the day, but the bulk of the rain fell between 10 am and 3 pm on Saturday before a brief lull in storm activity. 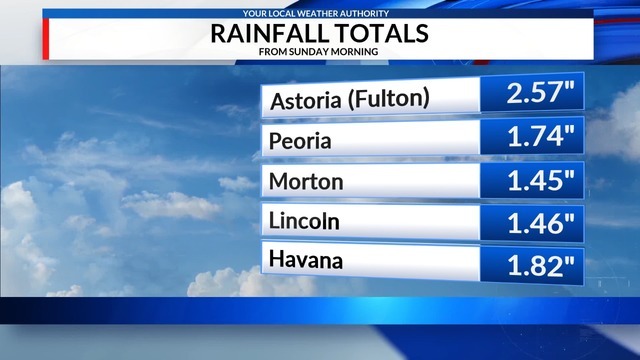 Peoria and Lincoln received most of the rain during that time frame. Here's a radar scan from 4:30 pm Saturday as heavy rain cruised north of Interstate 74. Winds gusted behind the cold front up to 50 miles per hour with Bloomington recording a 52 mph wind gust. The wind advisory expired Sunday morning as winds decreased in speed. No reports of damage surfaced from the strong wind gusts. Looking forward in the coming days, warmer temperatures are on the way, but, you guessed it, possibly heavy rain will come along for the ride.